PALMVIEW — The city and the Agua Special Utility District want to let the public know that they’ve put aside past differences to work together to have the sewer project and street paving completed as soon as possible. During a news conference Wednesday morning, officials from Agua SUD and the city of Palmview assured the public that work on the sewer project and street paving will be ending within a few months and the two entities were communicating with each other to resolve any emerging issues. The $42 million project by Agua SUD to bring sewer service to Palmview resulted in damage to many roads. Funding for the project only allowed for the streets to be patched up but after residents voiced concerns, the city of Palmview stepped in and offered to pay for the entire streets to be paved. In March 2018, the city and Agua SUD finalized an agreement through which Agua SUD agreed that once their contractors were finished with the streets, they would turn them over to the city for paving. Since then, residents have lodged complaints over the length of time it’s taken to complete work on the streets, specifically during a town hall held by the city in November and during an Agua SUD-Palmview joint workshop held in February. It was after that workshop that the two entities created the aforementioned committees that consist of officials from Agua SUD and Palmview. Palmview Councilwoman Linda Sarabia said one of the things they discovered was that communication with the community was “not the best,” which was one of the reasons for the committees. She said they were committed to providing updates to the community regardless of whether the news was negative. “As elected officials, sometimes it’s uncomfortable for us to (show) our face and hear all the complaints but we know what we signed up for,” she said. As for the status of the project, she said she understood residents’ frustration. Sarabia added that updates will be available on the city’s Facebook page while updates on which roads have been transferred to the city will also be available on Agua SUD’s website, said Esequiel “Zeke” Ortiz, the Agua SUD board president. While a list of the transferred roads has already been available to residents online, Saenz said the list will also begin to include a projected date of completion for all the roads. Palmview City Manager Michael Leo highlighted the benefits of the project which include no longer dealing with septic systems and the cost that comes with maintaining them, as well as having new paved roads in the city. He also noted that lack of sewer in the city would no longer be an issue for businesses that want to come in. 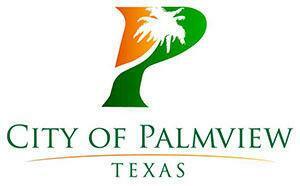 “So the economic impact that we’re going to benefit here in Palmview is going to tremendous as well,” Leo said. The two entities continue to communicate with contractors to get updated completion dates though Palmview Mayor Ricardo “Rick” Villarreal estimated the work would be done in about three months out.